Hermien Challa has a long experience in the professional improvement of gladioli. After graduating at the Wageningen University she worked on the whitefly resistance in cucumbers at the IVT. After that she worked a number of years for a company that improved roses, followed by the improvement of Crocosmia, small flower gladioli and finally large flower gladioli. A great deal of attention was paid here to the inter cross-breeding of resistance to Fusarium oxysporum. Through this work she came into contact with small and botanical varieties which soon roused her interest. In addition to the open days in August, which offer you a good opportunity to view our assortment, you can always get in touch with us. To do that click on the contactpagina (contact page) where you can find the relevant information. We will be pleased to make an appointment with you. Hermien Challa has had an independent enterprise since 2003 which specializes in the development of large flower, medium large flower as well as small flower gladioli. The accent lies on modern, new colours that combine well in bouquets and can even surprisingly be worked in borders.  Among other things one of the goals is to produce gladioli that are suitable for gardens and bouquets. Some of the new gladioli have a long decorative value thanks to the beautiful seed-pods that they form. With the large flower, the medium large flower as well as the small flower gladioli the focus has always been (and still is) on the achievement of great uniformity, a good balance of stem and spike length, of spike formation as well as the overall image of the gladiolus. Because the people around her appeared to react enthusiastically to the smaller gladioli, she gradually began to think that there must be a market for that particular variety too. During presentations on nursery days for garden lovers people reacted with great enthusiasm to the new colours that were abundant in all the varieties. The positive reactions to the medium large flower and small flower varieties were striking. The interest on the part of the public is enormous and where the Challa gladioli were on sale they were sold out in no time. To Hermien this was a confirmation of her own ideas that she applies in her work and a stimulant to carry on. The die is cast. The new varieties can now be offered. See our invitation to the Open Days. In the future increasingly more Challa Gladioli will be available on the market. To give you an impression you will find below a number of examples of gladioli which have become available now. In the summer of 2007 Challa Gladioli has for the first time shown a number of varieties in Lisse during the annual judging by the “Koninkelijke Algemene Vereniging van Bloembollencultuur” ( Royal General Society of Flower Bulbs Culture). Various selections were shown. Particularly the formation of the spikes won much praise and scored highly. The judging of gladioli by KAVB was brightened up by a number of gladioli varieties that had never been shown before. Responsible for this showing was improvement expert Hermien Challa who in Spankeren (municipality of Rheden) focuses on the improvement of this particular flower. During the latest special KAVB Gladioli Judging session Challa Gladiolen won a well-earned gold medal. Earlier Challa Gladiolen with its lilac gladiolus Purple Prince finished among the highest scores. Just like a week before the white Challa Gladiolen’s “Snow Dance” drew all attention again. During the judging session in 2008 various Challa gladioli earned high scores, the varieties as shown below won a gold medal.